COLUMBUS — Throughout the 2014-15 school year, the coaches associations of the sports sanctioned by the Ohio High School Athletic Association had the opportunity to honor coaches with an OHSAA Sportsmanship, Ethics and Integrity Award. 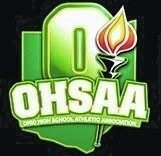 The OHSAA congratulates the award winners and thanks them for their outstanding service to Ohio’s student-athletes. The award recipients were recognized either during the state tournament of their respective sport or at their annual coaches clinic. The recipients are selected by the officers of the respective coaches associations. Individuals selected reflect the values of sportsmanship, ethics and integrity through their professional responsibilities and are a role model for others.